HEINHOTEL vienna airport accepts no responsibility for the currency, accuracy, completeness or quality of the information provided. 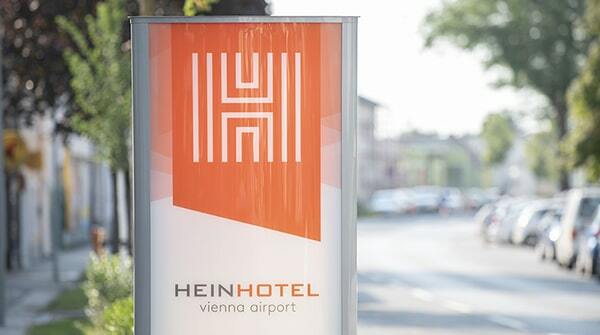 Liability claims against HEINHOTEL vienna airport for pecuniary or non-pecuniary damage resulting from the use or non-use of the information provided or from the use of incorrect or incomplete information are excluded insofar as HEINHOTEL vienna airport cannot be shown to have acted with wilful intent or gross negligence. All offers are without obligation and subject to change without notice. HEINHOTEL vienna airport expressly reserves the right to vary, extend or delete part or all of the website without separate notice or to discontinue publication temporarily or permanently. HEINHOTEL vienna airport shall be liable for direct or indirect references to third-party websites, so-called “links”, outside its responsibility only in the event that HEINHOTEL vienna airport is aware of such content and, where the content is illegal, it would have been technically possible for HEINHOTEL vienna airport to prevent its use and such prevention could reasonably have been expected. HEINHOTEL vienna airport hereby expressly states that no illegal content was apparent on the linked pages at the time the links were created. HEINHOTEL vienna airport has no influence over the current and future design, content or authorship of the linked/connected pages. Therefore, HEINHOTEL vienna airport hereby expressly dissociates itself from the content of all linked/connected pages which have been amended since the links were created. This statement applies to all links and references appearing in HEINHOTEL vienna airport’s own website content as well as to information entered by third parties into guest books, discussion forums, mailing lists and such set up by HEINHOTEL vienna airport. Liability for illegal, incorrect or incomplete content, and in particular for damage resulting from the use or non-use of such information, lies solely with the provider of the page linked to and not with the party merely referring to such publication via links. HEINHOTEL vienna airport endeavours in all publications to observe copyrights to graphics, sound files, video sequences and texts used, to use graphics, sound files, video sequences and texts it created itself, or to make use of royalty-free graphics, sound files, video sequences and texts. All brands and trademarks referred to on this website and protected by third parties as the case may be are subject without limitation to the provisions of the applicable law on trademarks and the proprietary rights of the registered owner. Reference to trademarks must not be construed as meaning that trademarks are not protected by third party rights. Copyright to published material created by HEINHOTEL vienna airport remains solely with the author of the pages. The reproduction or use in other electronic or printed publications of such graphics, audio files, video sequences and texts is not permitted without HEINHOTEL vienna airport’s express consent. In view of the technical qualities of the internet, no guarantee for the authenticity, correctness and completeness of the information provided on the internet can be given. No guarantee can be given for the availability or the operational reliability of this website and its contents. All liability for immediate, indirect or other damages regardless of their cause that arise from the use or non-availability of the data and information of this homepage is excluded, as far as legally permissible. The content of this website is protected by copyright. The information is for personal use only. Every further use, in particular storage in databases, duplication and every form of commercial use as well as transfer to third parties – in parts or in revised form – without approval of the website owner is prohibited. Any integration of individual pages of our content in external frames must be refrained from. Insofar as parts or individual wordings of this text do not comply with current legislation, no longer do so, or do not do so fully, the content and validity of the remaining sections of the document will remain unaffected. If you want to use this function, download the add-on and install it for your current browser. The browser add-on to deactivate Google Analytics is available for Internet Explorer, Google Chrome, Mozilla Firefox Apple Safari and Opera. This website uses plugins of the bookmarking service ShareThis operated by ShareThis Inc. (“ShareThis”), 250 Cambridge Avenue, Palo Alto, CA 94306, USA. Upon accessing our website, ShareThis learns your IP address and that you’ve visited the website of HEINHOTEL vienna airport with this IP address. The ShareThis plugin allows users to set bookmarks to websites available on the internet and to share or post the links to the respective website/recommend contents on it on social networks, such as Twitter, Facebook, Xing or Google+. If a visitor uses one of this functions while being online on the respective service (e.g. Twitter, Facebook or Google+) at the same time, the visit of our website is attributed to the respective user on the corresponding service. Find more information on the collection, analysis and handling of your data by ShareThis as well as your corresponding rights in the data privacy statement of ShareThis at http://www.sharethis.com/legal/privacy/. This website uses KunLeiSys guest club software (regulars’ area). GASTROpoint GmbH, Pommernstrasse 17, 83395 Freilassing, Germany is the provider. KunLeiSys guest club software is a service for the organisation and management of the guest club, offers, loyalty points, emails for occasions and for newsletter distribution. We use the data entered in this relation only for the purpose of using the respective offer or service. The mandatory data prompted during registration has to be provided in full. Failing this, we will deny registration. Procession the data provided during registration occurs as based on your consent (Art. 6 Abs. 1 lit. a DSGVO). You can retract your consent free of charge at any time. You can do so using the unsubscribe link in the email or by unsubscribing in the guest club. The data you provided us with for guest club purposes will be stored until your deregistration and, after deregistration and deletion of the guest club account, deleted from both our serves and the GASTROpoint GmbH servers. In case of important changes, such as the scope of offers or technically necessary changes, we use the email address provided upon registration or in your profile to inform you on this way. Legal record retention periods remain unaffected. We concluded a contract for commissioned data processing with GASTROpoint GmbH and fully implement the strict guidelines of the German data protection authority for the use of KunLeiSys guest club software. Bitte einfügen is responsible for handling your personal data on our website. We take the protection of your personal data very seriously. Thus, we treat it confidentially and in accordance with the legal data protection regulation as well as this data privacy statement. Generally, using our website is possible without personal data. If personal data (such as name and e-mail addresses in the contact form) has to be collected, it happens voluntarily as far as possible. Your data will not be forwarded to third parties without your explicit consent. Personal data which you have sent to us via a website or e-mail will only be processed for correspondence with you and only for the purpose for which you’ve provided us with your data. The data provided will only be disclosed to the department responsible within the company. We assure you that your personal data will not be disclosed to third parties, unless required by legal guidelines. The data provided to us will only be stored until the purpose for which they were entrusted with us has been served. Statutory retention periods will be respected insofar as these must be observed. Should you no longer agree with the storage of your personal data, we will delete the data stored upon your instruction. If your personal data has changed, we will correct it upon your notice. Cookies make a website more user-friendly and efficient for the user of a website. A cookie is a small text file serving to store information. Upon visiting a website, said website can place a cookie on the computer of the website visitor. When that user visits the website again later, the website can readout the data from the cookie saved earlier and, for example, determine whether the user had visited the website before and in which sections of the website the user is particularly interested in. Find more information on cookies on Wikipedia. Specify which cookies you accept or reject in your browser settings (e.g. Internet Explorer, Safari, Firefox, Chrome). The exact location of said setting depends on your browser. Find the respective settings with your browser’s help option. If sections or individual terms of this statement are not legal or correct, the content or validity of the other parts remain uninfluenced by this fact. You have the right of disclosure, correction, deletion and limitation of processing personal data as well as the right data transfer. Additionally, you have the right of withdrawing potentially granted permissions to process your personal data. The legality of processing personal data up to the revocation will be without prejudice up to the revocation. Additionally, you have the right of objection to the processing of your personal data for the use of direct mail advertising. In case of objection, your personal data will not be processed for the use of direct mail advertising anymore. Furthermore, you have the right of appeal with the regulating authority (Österreichische Datenschutzbehörde, Hohenstaufengasse 3, 1010 Wien, dsb@dsb.gv.at). You do not want to miss that!